Have you ever found yourself away from home when unexpected winter weather hits? Mother nature is often unpredictable, and even the most sophisticated weather technology sometimes gets the forecast wrong. This time of year, it's best to be prepared for driving in wintry weather, just to be safe. Temperatures can change drastically in a very short amount of time, and using good judgement and proper driving techiques in inclement weather can keep you and your family safe. Drive slowly and expect delays. Everything takes longer when there is white stuff falling from the sky. Driving in sleet/freezing rain can be very dangerous, as can driving through the snow. If you live in an area that doesn't usually see a lot of winter weather, you may not have proper tires for driving long distances in snow or ice. Use caution at all times, and look for other drivers. Allw plenty of space between your vehicle and the the ones in front of you. Traffic might be backed up, but one of the worst things you could do would be to get stuck in an intersection in a line of traffic. This will cause vehicles trying to cross from side streets not be able to take their turn, causing a gridlock on the roads. If this happens, everyone will be going nowhere- fast. Go easy on your brakes. Never slam on brakes in snow or ice- this may cause your wheels to lock up, and you may very well lose control of your vehicle. It's very easy for cars to slide in the snow and ice. If you can help it, don't stop the car. This may be impossible if you're in traffic, but id you can keep the wheels lightly rolling, you won't have to worry about applying the brakes, and may avoid sliding. If roads become impassable, do not continue driving on them. If you can't make it home as conditions worsen, do not attempt to keep driving. Look for the nearest place that you can safely get to and spend the night at a hotel, even if you're not far from home. It's simply not worth risking your life to continue driving in trecherous conditions. If bad winter weather is in the forecast, don't risk it. Just stay home and stay off the roads. 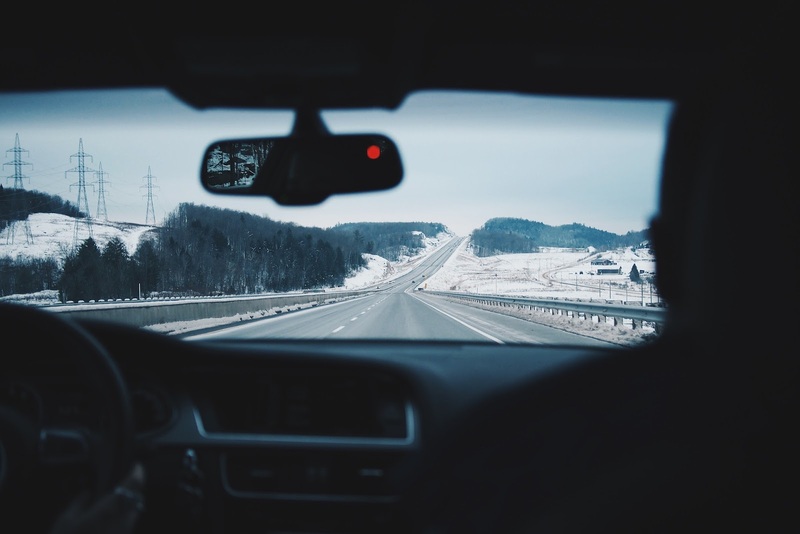 You might consider yourself a good driver, even in wintry weather, but most people don't handle driving in snow or sleet well, especially in areas that are not used to that type of winter weather. Stay home and stay safe. Brought to you by Kim's Chevrolet.